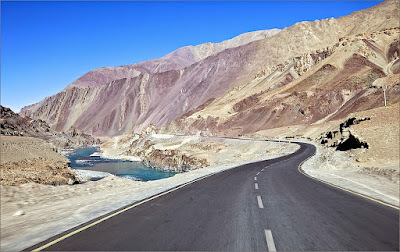 Whether you are adolescent or a nurtured young guy, everyone aspire to go on a trip to Ladakh. One of the most popular destinations in India, Ladakh is popularly known as ‘Cold Desert’. It is situated in Jammu & Kashmir; the region is full of Tibetan Buddhist monasteries and also shares international border with Tibet. Owing to rigid climatic structure, tourists are required to take certain tips before your way to Ladakh. § It doesn’t require permit for visiting ladakh. But as it is very quite sensitive and violate area, you may need to get some special permission to visit few places such as Tsokar & Tangong lake etc. You can avail this permission from local Ladakh authorities. § Temperature and Height should be well considered and judged before making trip. Ladakh is almost in near 0C, almost the whole year so try to take as much as warm clothes with you. Other aspect is its height. It is situated on quite high altitude so you may suffer breathing problems. § There are profuse numbers of accommodation facility available in Ladakh. You can get cheap hotels and lodges near to stay. 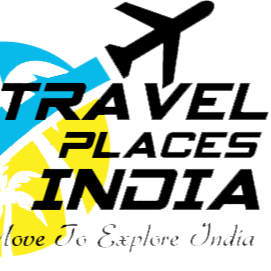 But, you can face a problem during money transaction, as there are very few places where you can use your credit/debit card, so it is better advised to take sufficient amount cash during your trip. § You can also enjoy trekking, which is most of the tourists do here, but you have to do lot of preparation before trekking. First of all you have to keep good amount of warm clothes with you, as you can find yourself near about -10C, also at that temperature every water source get freeze so keep your stock of drinking water with you. § There is good connectivity of transport in Ladakh. There are multiple options of buses and jeeps. But, if you are thinking to rent a bike, you must be quite sure and careful. In any case of breakdown outside city can take long time before help reach you. § There are various major spots to be visited here such as Leh city, Pangong Lake, Tso Moriri Lake, Zanskar Valley, Khardung La Pass, Nubra Valley, Hemis National Park, Pathar Sahib, Nubra Valley etc. § Do not use plastic bags or other things as plastics are completely banned in Ladakh, last but not the least, don’t click photographs without permission. Photography is restricted in some of the monuments and monasteries in Ladakh. Book you Leh Ladakh tour packages for yourself now, and get the best deal before summer, as it is the idol time to visit Ladakh. But, you can visit in winter also, as most of the Ladakh festivals fall in winter.